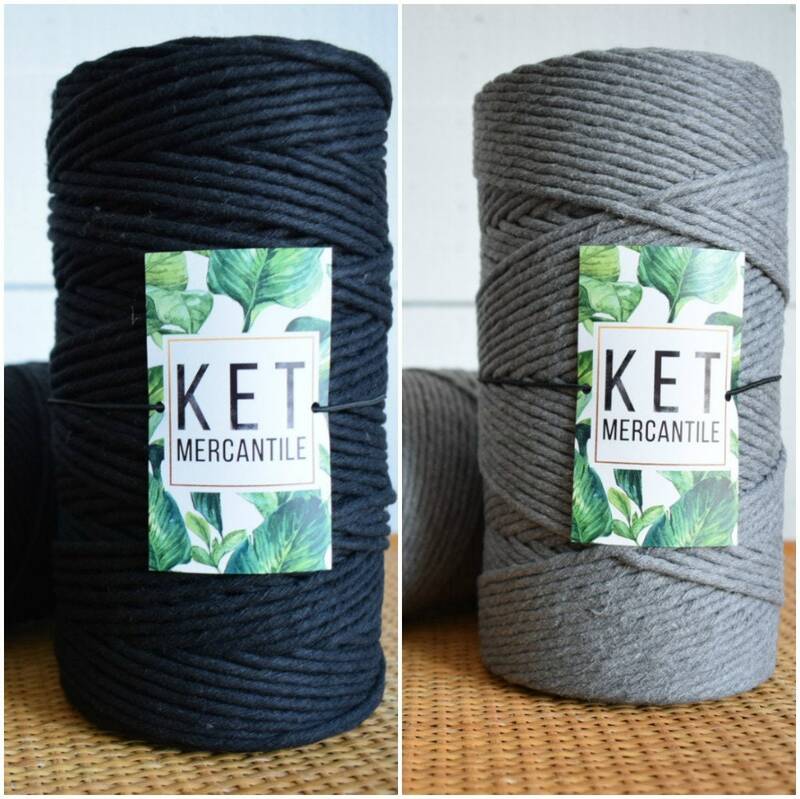 4mm 'black' or 'gray' cotton string. 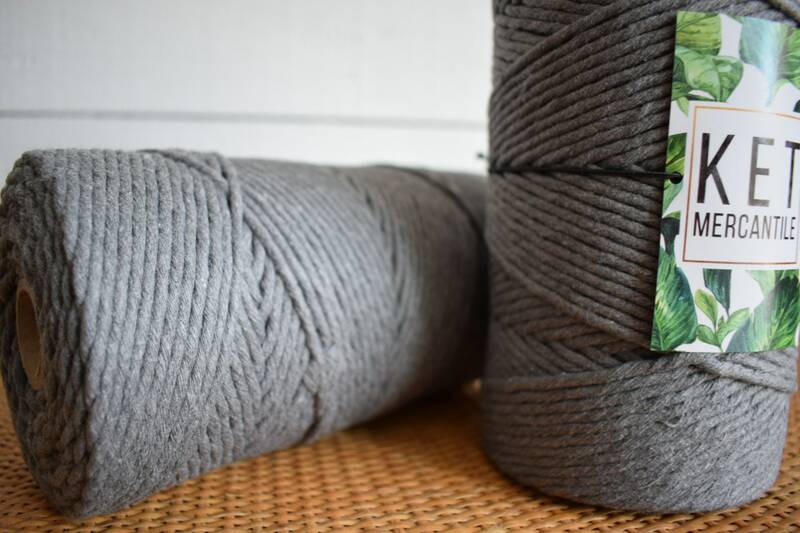 Approx 820 feet per spool. 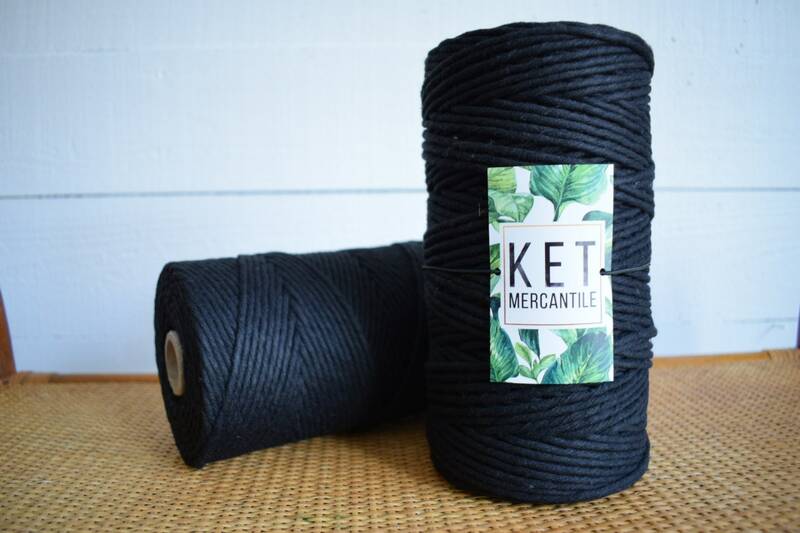 Works beautifully for macrame and other fiber crafts. Please choose your color selection from the drop down menu. Also available in other colors and sizes- see shop listings for more. Shipping is estimated by the site and isn't always accurate (especially when ordering multiple items). Any overages in excess of $1.00 will be refunded to the buyer. 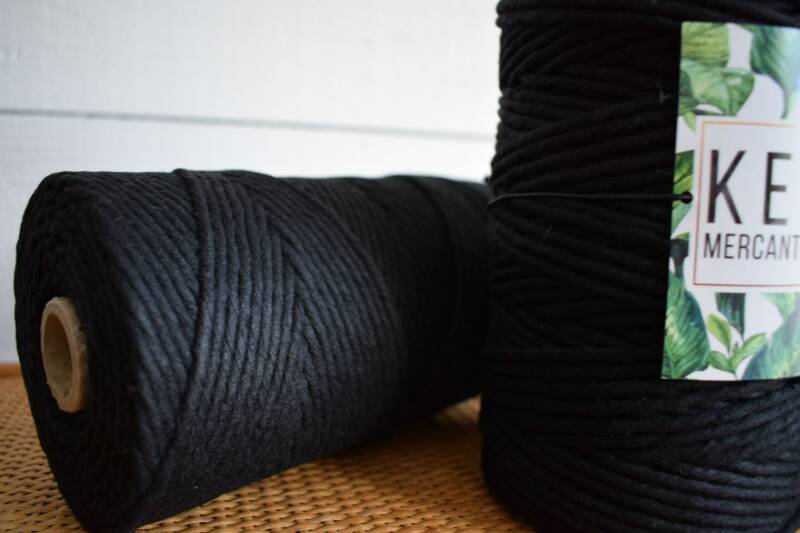 For orders of multiple spools, I will be sure to calculate the best possible shipping rate for you prior to sending, and will refund any excess! Tag me in your project photos to be featured on my social media pages! 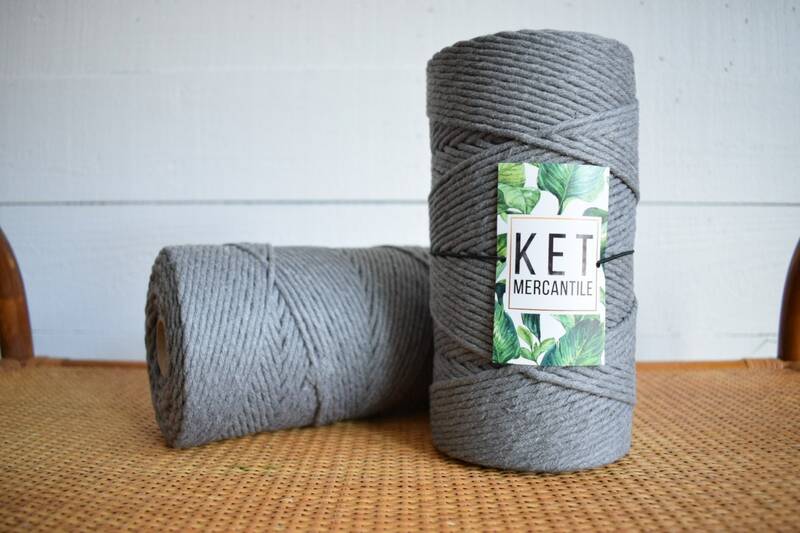 This is my favorite string by far! 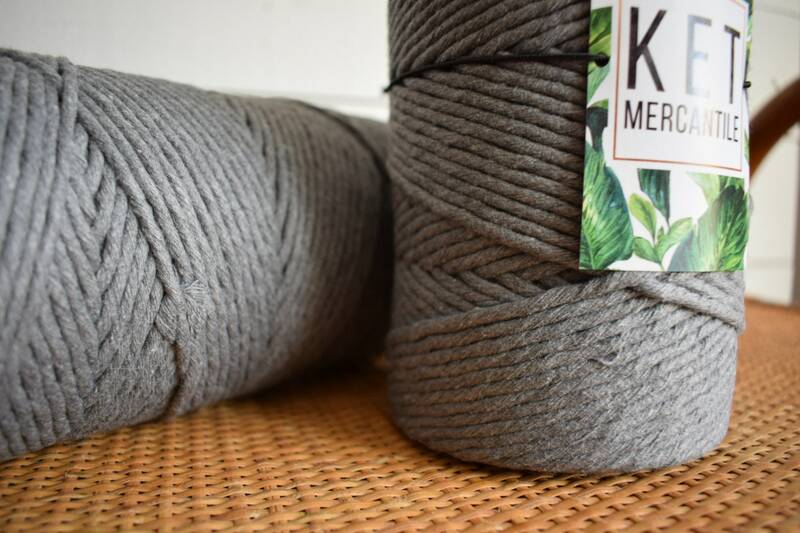 The 5mm cotton in gray has the perfect hue. 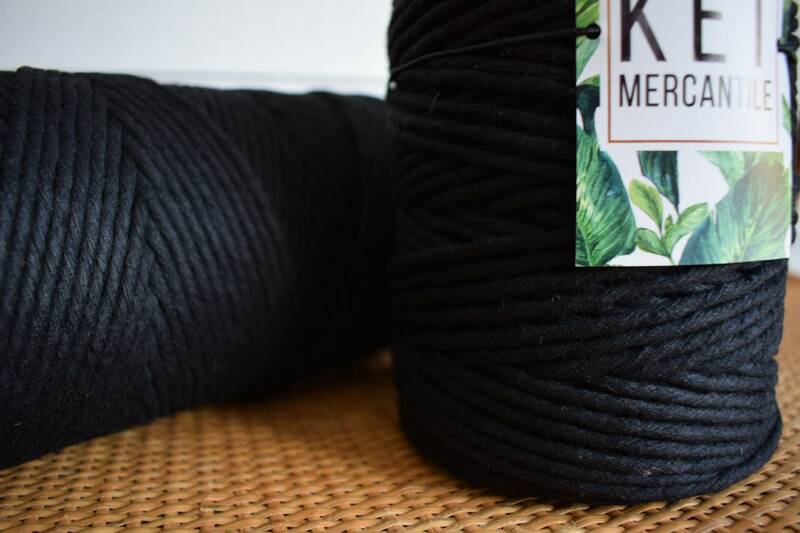 I purchased this to make a macrame garland and wall hanging for a baby boy nursery and the color and softness are so perfect! Has a slight “denim” looking quality about it. I just love this - and the seller has the fastest shipping. I’m so pleased and will use this shop for future orders! Thank you! !